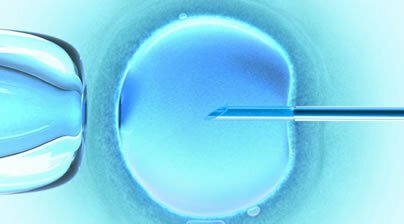 Fertility programs who freeze eggs for California Cryobank's donor egg bank use the latest assisted reproductive technology available, called vitrification, for egg freezing. This vitrification technique is used to freeze all of the donor’s eggs and was perfected in our labs by Michael Tucker, Ph.D., a renowned embryologist in the field of reproductive technology. Until recently, egg freezing was done through a slow freeze methodology and had varying degrees of success. Using the slow freeze method, ice crystals would form within the egg and destroy the cell’s structure. Now embryologists highly skilled in the vitrification technique can greatly minimize the formation of ice crystals and keep the cell structure intact. As a result, our technique protocol ensures eggs that have been vitrified (frozen) are virtually the same as using freshly retrieved eggs. California Cryobank and Donor Egg Bank USA have trained and certified the embryologists in each of our Partnering Practices on our specific vitrification technique. Vitrification techniques vary widely among the general field of fertility practices and as a result, so does the quality and pregnancy rates. Therefore our Partner Practices complete a quality assurance process and every cycle performed is reviewed to ensure consistent standards of quality.